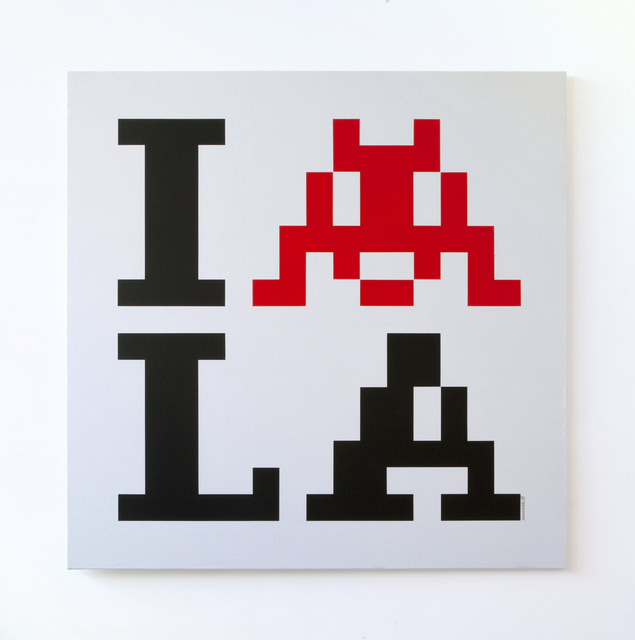 October 8, 2018 (Los Angeles, CA) Over the Influence is thrilled to announce Into the white cube, a survey celebrating the internationally-renowned French artist known as Invader. The exhibition, offering an overview of the artist's achievements from the past two decades, will feature his iconic mosaics along side completely new series and media for the artist. Marking Invader's first solo show in Los Angeles since 2005, Into the white cubewill open on November 17th 2018 and remain on view through December 23rd, 2018. There will be an opening reception for the artist on Saturday, November 17, from 6 to 9pm. 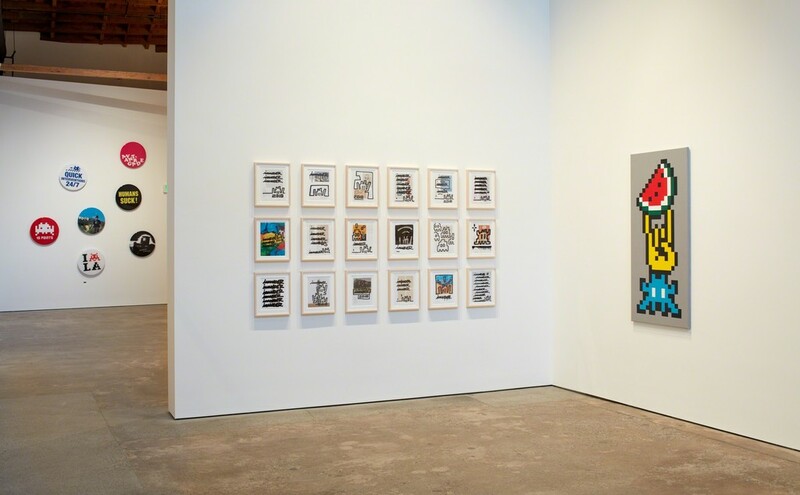 Widely regarded as one of the most important and influential contemporary urban artists of his generation, Invader has consistently challenged convention. Bursting into the scene in 1998, he quickly gained popularity worldwide for his ‘invasions’ that use guerilla tactics to place pixelated video game characters and pop culture archetypes comprised of square ceramic tiles in highly visible yet often just out of reach spaces. Each of his idiosyncratic mosaics is one of many fragments of a sprawling and monumental, long-term, global installation which creates a dialogue within the city and its inhabitants. 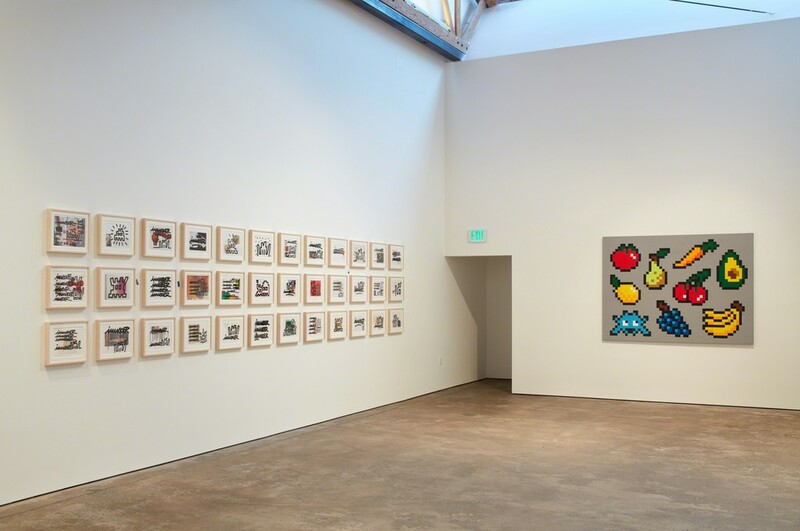 Into the white cubeprovides a comprehensive history of Invader’s pioneering public art and highlights his studio practice. 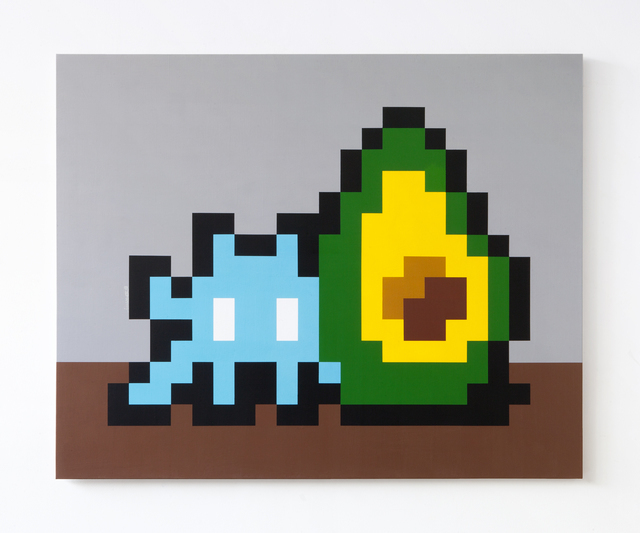 For the first time, Invader has put brush to canvas, rendering his familiar pixelated visual tropes in acrylic paint. These large paintings are a point of departure for Invader, moving toward the artist’s hand. This throughline continues with new works on paper. Pulling aesthetically pleasing pages from auction house catalogues, Invader has madethem his own by adding his brisk, distinct marks. Definitely a multimedia exhibition, Into the white cubewill feature over fifty trademark mosaics 'Aliases', a LED piece, large-scale pin buttons, an Invader Cinema and his latest book Invasion Los Angeles 2.1, with a series of 30 copies covered in unique mosaic artworks. 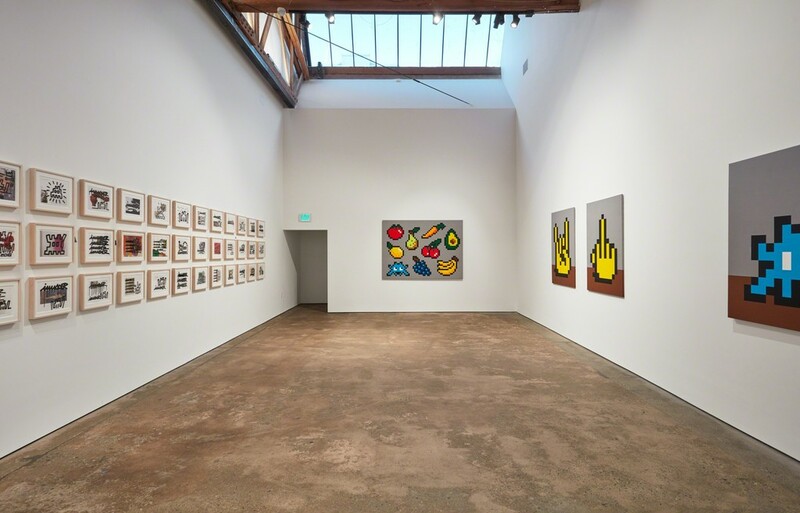 This new and updated edition of the 2003 Los Angeles Invasion Guide features the stories of his 200 distinctive creations installed in L.A. since 1999. Invader was born in Paris, France in 1969. He studied at La Sorbonne University and atthe Ecole des Beaux-Arts in Paris. He has been exhibited in museums and Foundations around the world including le Musée en Herbe, Paris, France; HOCA Foundation, Hong Kong; MuseumsQuartier, Vienna, Austria; MOCA, Los Angeles, CA, USA; Museum of Contemporary Art of San Diego, SanDiego, CA, USA; Daejeon Museum of Arts, Daejeon, South Korea; Musée Ingres, Montauban, France; Borusan Center for Culture and Arts, Istanbul, Turkey; Mjelby Konstgard Museum, Halmstad, Sweden; and the Biennale d’Art Contemporain, Lyon, France; MAR, Ravenna, Italy; Pori Art Museum, Pori, Finland ; MASP, Sao Paulo, Brazil; Centre pour l’image contemporaine, Genève, Swiss.